This is a 6 Inch Hand Forged Hunting Gripper Blocker Handle Kukri. 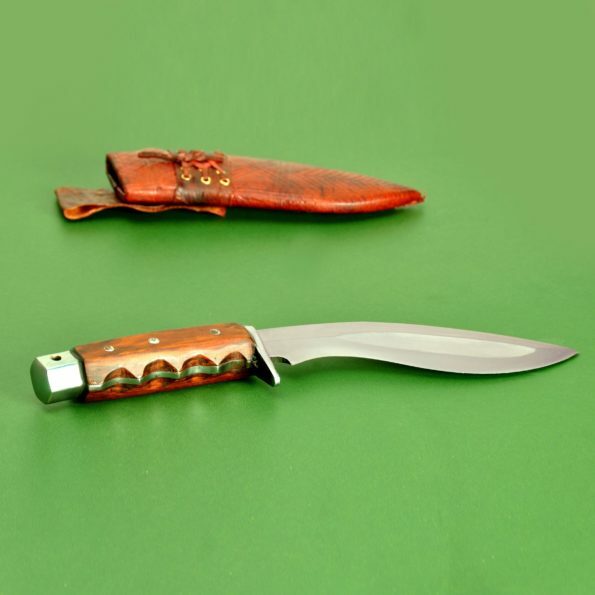 Hunting Kukuri is one of the best selling Khukuri of FGKH.The handle is in Gripper style which makes the Khukuri very comfortable to hold. The blade is made up of highly graded carbon steel (Car and jeep leaf spring, 5160). The blade is 6 inch long unpolished blade, it’s a full tang blade with a wood handle. The handle is 5 inch long made up of wood with three rivets and glue up together by traditional Nepali glue called Laha. The overall length is 11 inch. 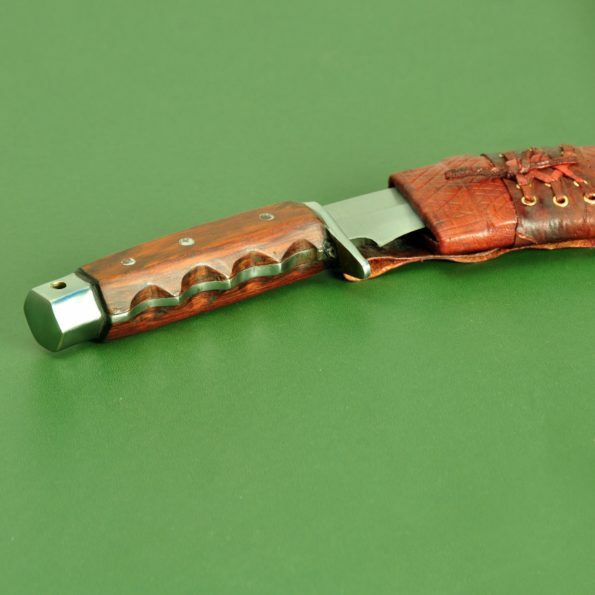 The Scabbard is made up of water buffalo leather.